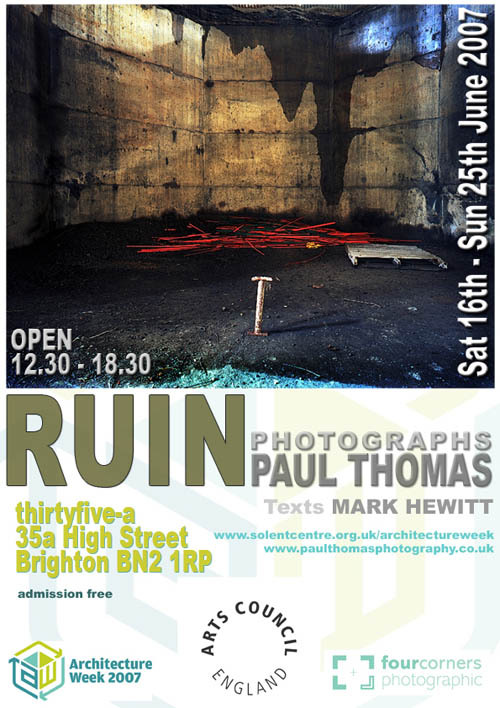 Two collaborative exhibitions featuring an impressive collection of photographs by Paul Thomas of the decaying interior of Shoreham Cement Works alongside a series of exploratory texts responding to the same site by Mark C. Hewitt, with accompanying events in Shoreham-by-Sea and Steyning. 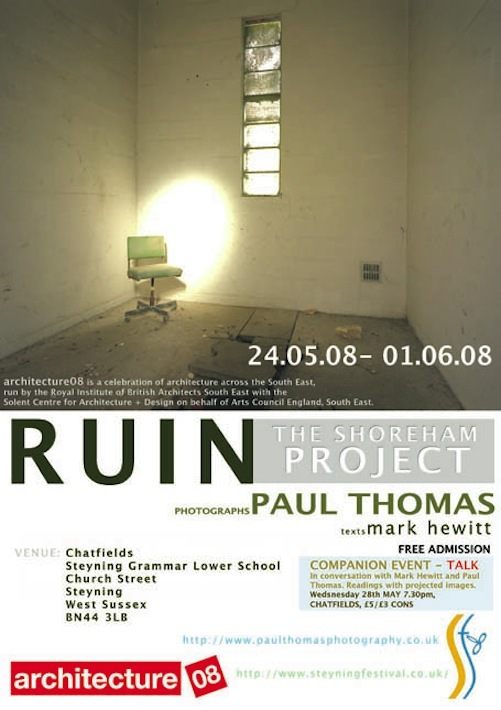 June 2007: thirtyfive-a gallery, Brighton, as part of Architecture Week South East with commissioned audio descriptions by artist Rachel Gadsden. Accompanying event at Ropetackle Centre, Shoreham, as part of Adur Festival 2007. May 2008: Chatfields, Steyning, as part of Steyning Festival 2008 and architecture08. Accompanying event in the gallery.